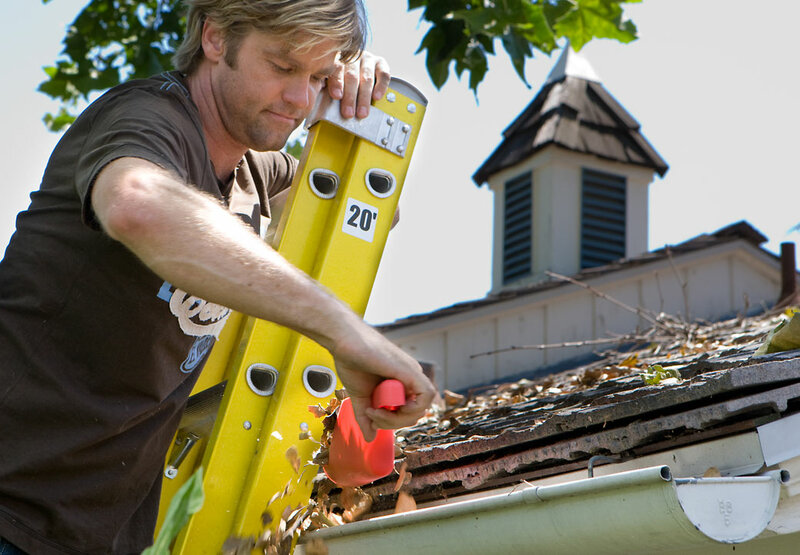 Maintaining a home is expensive – around 1 percent of your home’s value goes to maintenance each year. Anywhere you can save is a plus. And when it comes to simple tasks, you should be prepared to roll your sleeves up. Leaks can cost a ton of money to fix. Before you dial your plumber, try shutting off the main water supply, taking off the faucet’s knobs and check the washers, steams and O rings for signs of damage. Take them to the hardware store to find exact replacements. Remove the lid to the tank behind the toilet, and check the flush lever, rubber flapper, lift chain, float ball, pump and overflow tube. A running toilet usually only requires a simple adjustment or replacement to fix. Place a rubber band or steal wool over the screw and try to remove it. If that doesn’t work, use a screw extractor. Twice a year grab your gloves and eye protection and get up there to remove debris and leaves. Find the red cord hanging from the ceiling mount and pull it to disconnect the cord from the motor.